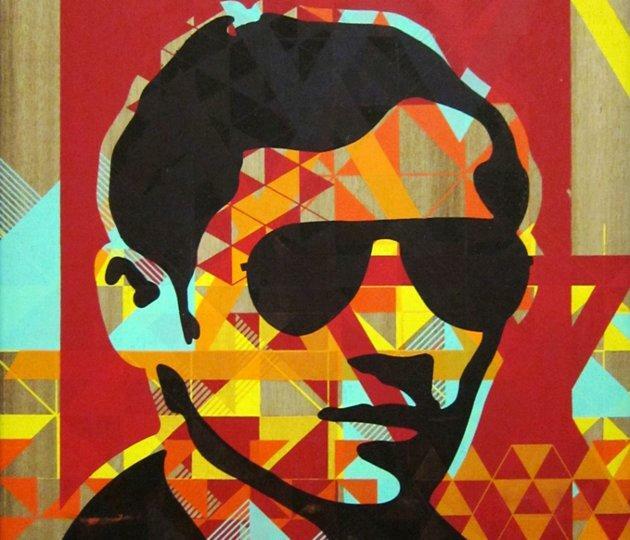 Detail from Team Manila Graphic Design Studio's Rizal Shades from the Team Manila Lifestyle Series. [Serigraph on wood] Photo courtesy of the Yuchengco Museum. Who is the Jose Rizal you know? The author whose famous novels "Noli Me Tangere" and "El Filibusterismo" were required reading in college? The hero we've read about in our history books, and whose monument is one of the most famous Philippine landmarks? Perhaps even the hip shades-wearing pop culture icon made famous by Team Manila. With his 150th birth anniversary on June 19 just around the corner, Rizal's image is popping up everywhere. To try to keep track of all Rizal-related activities, the MY RIZAL 150 organizers have launched a one-stop-site at MyRizal150.com, while also tapping social media to encourage the Filipino youth to rediscover Rizal. "That's why we started this My Rizal journey," Lisa T. Bayot, Rizal's great grand niece, told Yahoo! Southeast Asia in an interview. "We wanted to celebrate his life through education, culture, and the arts. And we realize that it's through the youth that we are able to make Rizal relevant today." 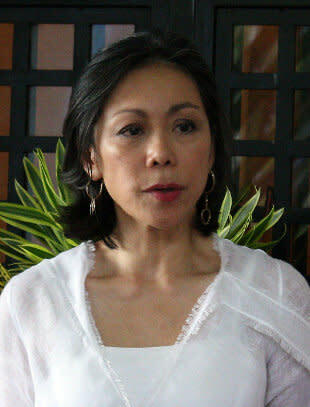 Bayot is the great granddaughter of Rizal's oldest sister, Saturnina. MY RIZAL 150 is a group of relatives and friends of the Rizal clan, which has partnered with Binhi English Literacy Foundation and Vibal Foundation to organize the events and launch the MY RIZAL 150 site. "The Internet is a good tool for discovering the Rizal in you," added MY RIZAL 150 publicity officer Marga Deona. Deona herself is an active user on the popular microblogging site Twitter, which allows people to post updates in real time in 140 characters or less. She shared that the organizers have launched official accounts on Twitter and Facebook to complement the MY RIZAL 150 site. Technology notwithstanding, the MY RIZAL 150 journey is meant for Filipinos to relive the not-so-distant past when the Philippines was a colony of Spain, and rediscover the man behind the hero, and the wisdom behind his famous writings. Fittingly, the MY RIZAL 150 media launch not only took place at the Rizal Shrine in Fort Santiago, Intramuros, but the organizers also tapped Adarna Food and Culture Restaurant to recreate a turn-of-the century merienda cena. This traditional late afternoon snack harkens back to the days when the privileged class ate five meals a day. Kesong puti was among the merienda cena dishes served, apart from bite-size rich man's pan de sal; empanada de kaliskis from Malolos, Bulacan; pancit 1930; and, of course, hot chocolate. On June 19 itself, expect to be transported back to turn-of-the-century Philippines if you attend the "Maligayang Bati, Jose Rizal" event at the Rizal Shrine in Fort Santiago, Intramuros. Guests are invited to come in period costume, avail of the free calesa rides, and enjoy the musical performances. "June 19 is just the kickoff for a yearlong series of activities," Bayot said. She said they are hopeful that long after this year marking Rizal's 150th birth anniversary is over, Rizal will continue to inspire and shape the minds of the Filipino youth. MY RIZAL 150 organizer Maite Gallego said Rizal was truly ahead of his time, inspiring people across generations and from different nations. "As you discover Rizal with us, if you go through the MY RIZAL journey with us, you'll see that Rizal was very much a person ahead of his time. He would have loved the Internet," Gallego said. "And Rizal would have been the type of person that the young people could really emulate, could be inspired by, and somebody who could grab their attention." In fact, film producer and writer Ria Limjap, who also helped organize the event, stressed that the Filipino youth should take advantage of the wealth of information available online in the age of the Internet and social media. What's even more sobering is when we recall that people once risked their lives to read Rizal's novels, which were banned in those times by the Spanish authorities. "Now, it's all readily available to us. With the Internet at our disposal, we should really maximize its use for research and getting the message across, and developing all these cool activities and advocacies that are Rizal-related," Limjap said. Apart from the media launch of MY RIZAL 150 in Intramuros, that same day saw another Rizal-related activity, this time at the Yuchengco Museum at RCBC Plaza in Makati City. Showcasing not only Rizal memorabilia but also examples of his impact on Philippine arts and pop culture, the "RIZALizing the Future" exhibit will run from June 3 to October 29. This exhibit is meant to mark not only the 150th birth anniversary of Rizal, but also the 100th anniversary of the Yuchengco Group of Companies. Fittingly, museum curator Jeannie Javelosa also tapped social media for the media preview of the exhibit, which also became a tweetup. A tweetup refers to a face-to-face meetup among Twitter users. This #rizaltweetup was organized by Ros Juan, better known on Twitter as @juanxi. The exhibit was a fascinating journey into the life and psyche of Rizal, and his continuing influence on Filipino history and pop culture. 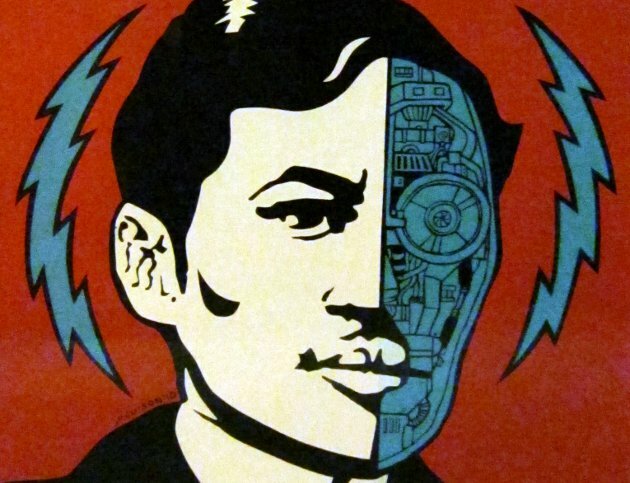 From paintings and wood carvings by national artists, to pop art of our national hero as a cyborg, the exhibit showcase different interpretations and reinterpretations of Rizal. For more photos and details of the "RIZALizing the future" #rizaltweetup, you may check out this post from Jonver David, one of the bloggers who covered the event. "The youth is the hope of our future," Rizal steadfastly believed. In a modern society beset by many of the same evils Rizal railed against over a century ago, the Filipino youth might realize that the key to building a brighter future lies in rediscovering the past — and learning from it.